We already knew that, as it stands, Professor Layton and the Azran Legacies is the last of the popular series starring the tea-loving puzzle master. Perhaps not a surprise as sales dropped away in Japan, particularly, with each release, Level-5 has nevertheless been clear that the brand may well continue in some form. 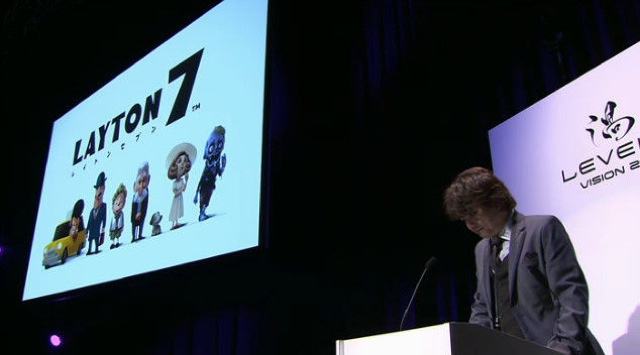 The publisher has now revealed Layton 7 at its Vision event, which is coming to 3DS, iOS and Android. Very little is known from the basic reveal, beyond descriptions of it as the "latest entry in the Professor Layton series" and a "role-play puzzle" game. It's sporting a new 3D isometric viewpoint and a host of different characters, and it's not clear how the named character will feature, or whether it's simply branding in the Layton universe. That really is the extent of the detail available, though there's some captured footage and an iOS screen below; it may just confuse us more. We'll keep our eyes peeled for more specifics, but the good news is that — in some form — more Layton puzzles are coming. How the heck is this a Layton game? Well, regardless, I'm excited to see what they do with it. Also, iPhone master race. I knew buying this was a good idea. ... What is this? I am slightly frightened. £40 on 3DS or under £5 on mobile. Nine times out of ten if that is the pricing scheme it means 3DS would be getting the full game at the outset while ios/Android has to pay in chuncks. Its like the other game they announced thats going to be free to play but the Vita/PS4/Xbox1 version look like a normal game. I'll probably buy it because I am a slave to the man but I... I'm scared. Although if it turns out to be good and addictive, lord knows I'll end up buying a second copy on iOS as well as eShop. I just can't stop. I'm assuming that this will be an eShop title. Probably. I don't think Level-5 wants to make a retail game again unless its Inazuma eleven or its a game their making for another company. (DQ 8&9). Still I was hoping for much more from this event and instead of Console/Handheld goodness I fell into an ocean of mobile and free to play. Hopefully TGS delivers. I assumed Nintendo had the exclusive rights to Professor Layton, but anyway this looks nothing like Layton. Another meh smartphone game, passable. I'm just sad because they are ruining the series value with these cash-ins. Just let the franchise end and spare its dignity. Really, the sales diminished in Japan with each release? Wow... they must really hate Professor Layton. As for Layton 7 (hopefully this is a working title...), it might come through as a good game, but if not, I can the series dying right there and then. I'm not sure what Level 5 are like for this but the price for Ace Attorney games on iPhone severely undercut DS prices. Which was kind of annoying. It's lead me to not want Dual Destinies on eShop when I'll be able to pick it up for 1/4 of the price on iOS. Level-5... what the heck have you done?! I'm terrified.. at least we'll always have the past Layton games. Honestly, I see a lot of potential in a spin-off Layton series with more RPG aspects. The presence of this on mobile devices is worrisome for the game's quality, though. EDIT: And oh boy, the footage looks positively disappointing. Puzzle games actually work well on mobile, so they are an exception to my general rule that a dedicated handheld is preferable. And as a economics student once upon a time, I never get upset about the effects of supply and demand, in this case mobile game pricing. Of course the reason the demand curve is as it is is how entitled mobile gamers feel, but that rant is for another time. I'm sure "Layton 7" is referring to the seven characters featured. It's not necessarily a Professor Layton game, and it's likely something entirely new. Level 5, please don't make a random puzzle game and slap Layton on the cover to make money. Especially one this scary. The reason it's so much cheaper on iOS is because there was a 6+ year gap between the english DS and iOS releases. Worried they might tarnish the Layton franchise, but will give it more time till I decided whether to get it or not. The heck did I just watch?!? Please see the community rules. We do not allow that kind of language here. Thank you. I've never played an entry of the Layton series in my life, but even I could tell that this is no Layton game! I can't tell what's going on in that video. I've been worrying about this franchise ever since the Layton brothers game. It's hardly surprising that the series died a death at retail. They bought out about 100 games in 5 minutes or something. I've never been disappointed in Level 5, so while things look different now, I'm sure the result will be comparable to all the other Laytons I've played (besides London Life). If the final game will look different, not the best of teasers to show off. Shame if they're developing this with IOS more in mind as opposed to 3DS. I hate "mobile" gaming, it seriously needs to die off. If this is meant to be Professor Layton, one of my favourite game series, then Level-5 have severely disappointed me with the shameless money grubbing cash-in. For shame. @DiSTANToblivion I'm with you mate, mobile gaming is mostly crap. @Linkstrikesback There was also a several year gap between the games' release on GBA and DS. They were still full priced DS games. @DiSTANToblivion Seems to me like Level-5 are refocusing their efforts on cheap, throwaway mobile 'games' now. Funded by all the money they made off their DS games, of course. Good riddance imo. Sick of Professor Layton (wasn't going to buy another one after the first 3, but I got Miracle Mask for free. Still haven't finished it yawn). Then they reskin Inazuma Eleven and call it a sequel. I really don't care for the developer anymore. @ScroogeMcLz Seems like the majority are still far cheaper to me. @Gioku It was all very vague. He was mostly talking about the movement of the camera and animation, nothing at all about the story and almost nothing about actual gameplay. @C-Olimar Actually I kind of agree on what you said about the Layton series. While I do love the stories, settings and music; after a while the games start feeling like a chore. I pretty much played 1-3 one after the other and enjoyed them all. I started getting tired of getting through the puzzles to see the stories in 4 and I still have yet to complete 5. No, for that I got distracted by other games, namely Project X Zone. @Tsuchinoko So I guess, even if I knew what he was saying, I still wouldn't know anything more about it! @DiSTANToblivion There are serious mobile games. But people want to ignore those games, so the mobile gets a bad reputation. The indie games that are put up, the amazing RPGs, its not all Angry Birds, and Subway Surfer. And the fact is, a good fraction of the Wii U's upcoming downloads are mobile games. The same goes with 3DS. Don't let a majority of Tiny Wing gamers sway your opinion that iOS/Android games are bad. @Gioku Yeah, and he stopped himself at the end, it was a lot of mumbling. Nothing too revealing. No worries. Oh wow that looks.... Boring. Even the Layton Brothers was less random. What the hell I just watch? @Kyloctopus It's just all I ever hear about are those terrible ones. Those are the popular games so I've already had this tainted view of them and find it hard to even accept that as a legitimate form of gaming. @Georgethecow I've always heard it's PC master race. Anyway, I mustered a bad gut feeling about this as soon as I read coming to iOS and Android. Does not look at all like a Layton game and seriously on phones now? Whatever not like I cared that much for the series, done with it now though. @One-Winged-Pit Layton has been mobile for awhile. 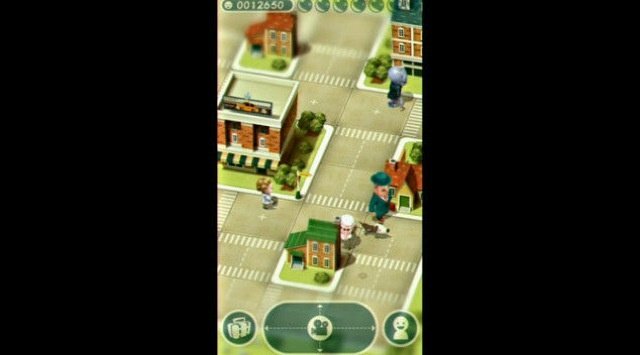 Curious Village was put on IOS, and London Life started as a mobile game. Level 5 makes the awful RPG known as London Life, and no one complains, but people see 1 minute of this and people are saying its the death of Layton, give it some sort of hope, it has an interesting premise. Maybe this is a side game like the one with Last Specter? Well this is one Layton game that I won't be getting. This is certainly different and unexpected, so I'm very intrigued and crave more info before I give my final judgement. I'm not casting this off as a horrible idea like everyone else appears to be doing.. This looks like a Layton Life - type game. I'm assuming that it's less of a "proper" entry in the series (assuming they're going to make more at all), and more of a spin-off expansion/franchise-branding. If it's on mobile, I'm not taking it seriously. Moving on. Not happy with this at all thus far.. At least there is Miracle Mask and next year Azran Legacy and the Pheonix Wright Layton game and the first 4. I gotta admit, I got bored with the Layton games. I did not get far on the 3DS game. I don't even remember the name of it. I also downloaded the Layton game on IPad but I have yet to play it. I dont think I will be playing either one anytime soon. Maybe the Layton games do need a change, but I have no idea what to make of that video I just saw. What's up with that zombie? Yet again a mobile phone game! Level 5 is on the right track (sarcasm)! Anyway, graphics are nice, but for the rest I have no idea of what I just saw! Is this really professor Layton?! Wonder if Nintendo is still interested in this franchise? "role-play puzzle" game? Doctor Lautrec anyone? Still no more news on this. Vapourware? @shingi_70 In america Inazuma Eleven is only the original series. ON ESHOP ONLY,=.